C.A. Confidential: The Sattalites @ The Orbit Room, Toronto, ON - Tues July 3rd! The Sattalites @ The Orbit Room, Toronto, ON - Tues July 3rd! 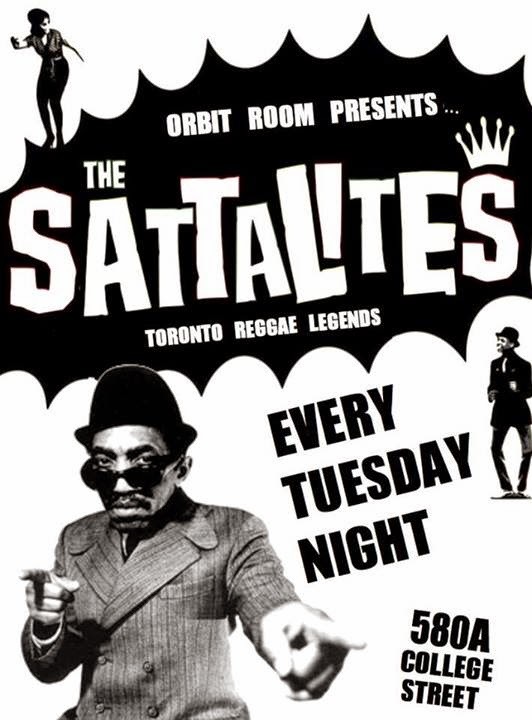 The Sattalites are Toronto Reggae Legends. They came together over twenty years ago in Toronto, Ontario as a music school; from then they have flourished across Canada as a very influential reggae group. The worldly vibe that they emit comes from a wide variety of instruments and vocals and their peaceful attitude towards life. The Sattalites are a very well-rounded musical group instrumentally. There are seven members who are almost all multi-instrumentalists, working together to create the smooth and unique sound for which they are known.